I’ve had a panini maker for a few years now and I still use it all the time. For those that haven’t tried a panini sandwich, it’s like a grilled sandwich filled with delicious ingredients and melted cheese that will leave you craving more! This collection of panini sandwich recipes includes a wide variety of fillings so you’re sure to find something to please everyone at your dinner table. 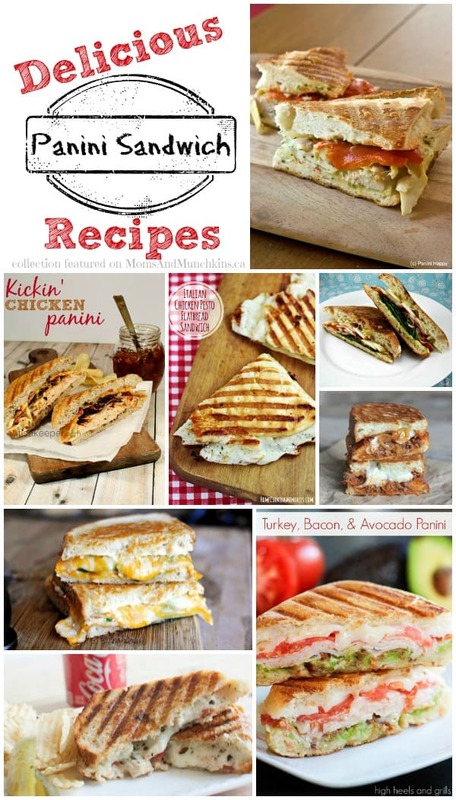 This is a collection of panini sandwich recipes by other talented bloggers, authors and masters in the kitchen. 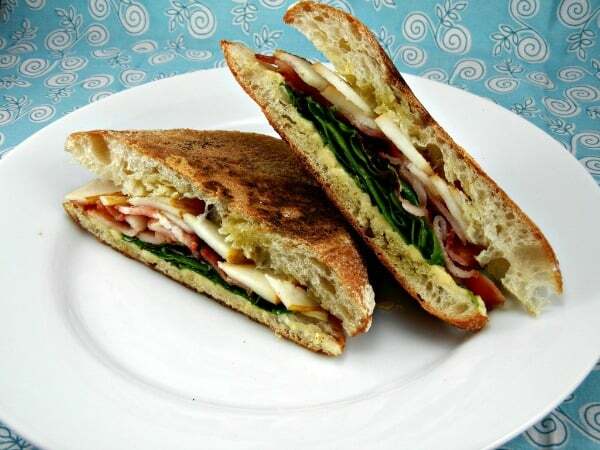 To view the full recipe for any of the panini sandwiches here, simply click on the title of each recipe. This first one is a grilled cheese sandwich recipe but I know it would make a delicious panini sandwich as well. 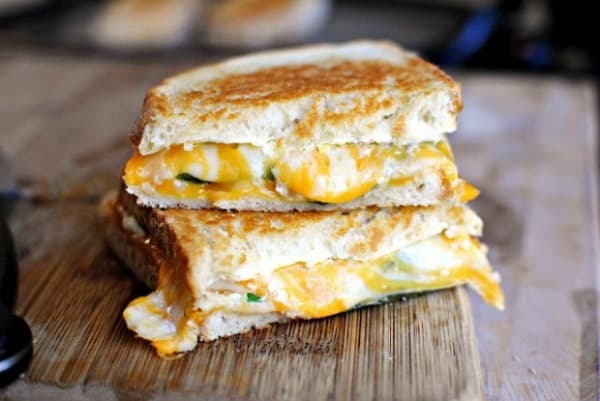 I cannot wait to try this Jalapeno Popper Grilled Cheese Sandwich (pictured above) by Simply Scratch. I have a feeling that it will become one of my new favorites! I haven’t had a sloppy joe sandwich for years (of course, now I’m craving one!) 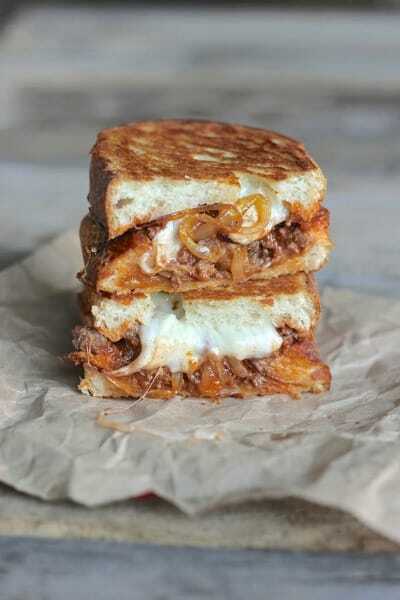 but this Sloppy Joe Panini with Baby Swiss and Caramelized Onions by Lovely Little Kitchen looks so delicious and well worth the sloppy cleanup all over your hands. I was introduced to avocado a few years ago and now I’m always looking for creative ways to include it in recipes. 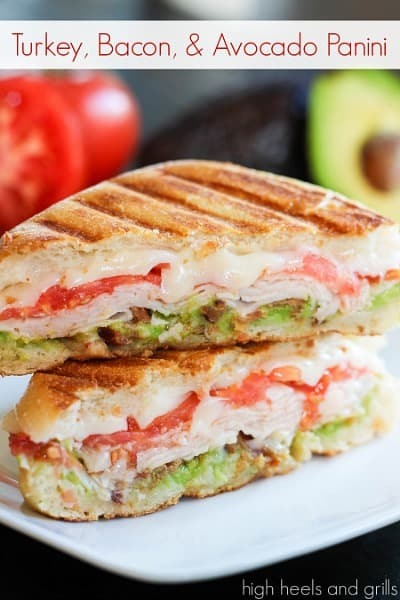 This Turkey, Bacon and Avocado Panini by High Heels & Grills is making me drool! 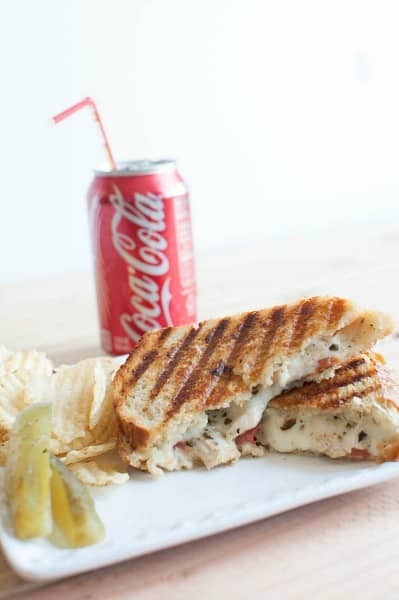 This Chicken Pomodori Panini with Roasted Garlic Butter and Pesto Mayo by Oh So Delicioso looks like the perfect lunch paired up with potato chips and a pop. This Kickin’ Chicken Panini by It’s a Keeper looks like it has the perfect combination of ingredients to make a delicious sandwich. I love sandwiches with a kick of spicy flavor! 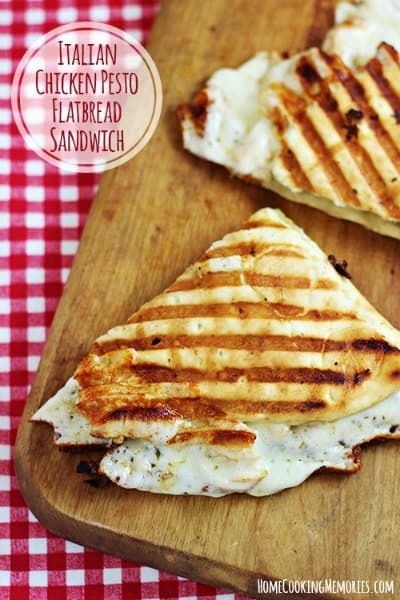 This Italian Chicken Pesto Flatbread Sandwich by Home Cooking Memories looks like it came straight from the deli! 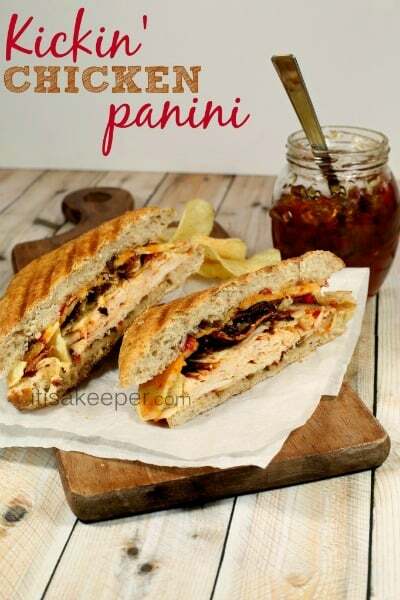 If you’re looking for a wide variety of panini sandwich recipes, be sure to pop over to Panini Happy for recipes like this Garlic Chicken Panini. There are so many delicious recipes there to choose from. Panini sandwiches aren’t just for meat and cheese, they can also include fruit! This Bacon, Pear & Smoked Gouda Panini by The Tasty Fork includes a creative mixture of bacon, pear, cheese, arugula and more! 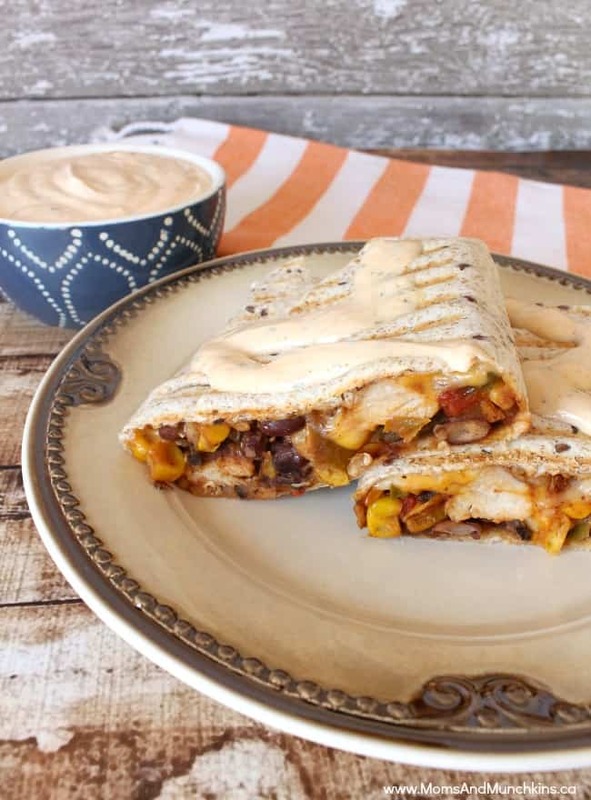 It may not be a panini but I love making burritos in my panini press like these tasty Lime Chicken Burritos! Looking for more delicious recipe ideas? Pop over to our Party Food & Family Recipes page. We’re always adding new ideas. Never miss a delicious update by following us on Facebook, Twitter, Pinterest, Google + and Bloglovin’. 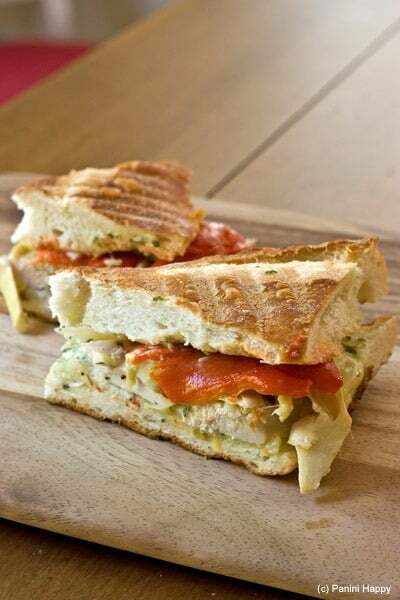 Thank you for featuring my panini! All of these look so good….pinning for future reference.